Our SS02 servo screws have the same thread diameter (approx 2.1mm), length (approx 10.5mm), and pitch as the well known Servo manufacturers screws, but have an allen key head. This makes installation into deep fuselages so much easier - the screw is a snug fit onto the end of a 2mm A/F allen key and will usually stay attached as you reach into the fuselage or any other tight space. No more tearing your hair out as you loose the servo screws in the fuselage ! No more annoying dents in the wing where you slipped when installing the aileron servo. We just know you will wish you'd used them for years ! These screws are also ideal for other applications such as securing cowls and canopies etc. Our SS01 servo screws are a longer version (length approx 14mm). On all versions, the thread of our servo screw extends right up to the head, so you always have thread biting into the wood even when screwing into very thin walls or blocks. We also stock heavy duty servo screws in 2 length options. With a diameter over the thread of approx 2.5mm, these screws are specifically designed to the suit heavy duty servos used in large scale models, but as with the standard size, will be suitable for a whole range of applications where a little extra security is required. The flange diameter is also increased to spread the load over a larger area. This larger screw size will also just fit through standard servo brass ferrules, providing a very snug fit, with just little more care needed to align pilot holes exactly with the servo fixings holes. gauge black servo screws from approx late June /early July 2019. If you would like us to contact you when these items are available from stock again, please click here. at only £0.50 extra (buy 200 screws or more and we send you one for free). 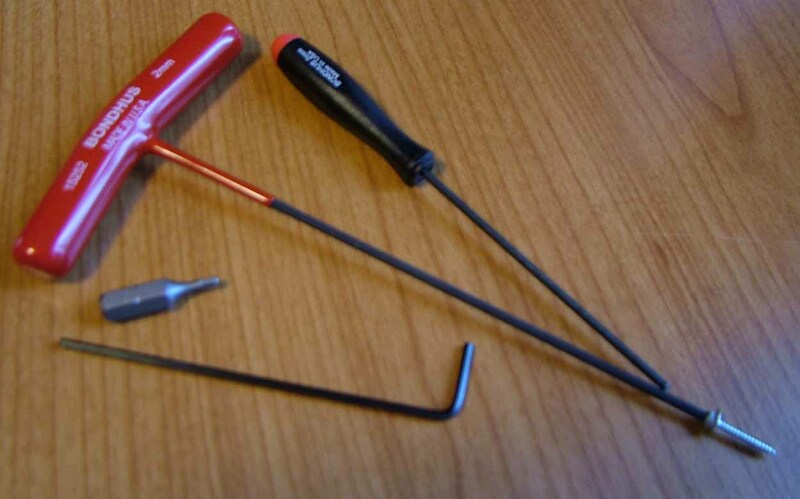 2mm A/F hex-ball end screw drivers, and mm hex end tee handle drivers. Scroll down for more details. New in Stock - we now have long and extra long 2mm drivers in stock for use where access is awkward. We can now offer rubber grommets (O rings) to fit under the head of our standard SS01 and SS02 servo screws, which are particularly useful for cowl fixing. These provide a soft contact face between the head of the screw and the cowl to minimise paint damage etc. We do not recommend grommets for securing servos. The grommets are a tight fit on the servo screw and should stay on the screw when you remove it - so the grommets do not get lost if you remove the cowl on the field. To order, click on the 'Add to Order' button alongside the items of your choice. You can select the quantity on the order form (default is 1). To continue ordering other items, use the 'Continue shopping' button on the order form. You can review and edit your order, or submit your order at any time by using the button at the bottom of each list. A selection of our servo screws, rubber O ring grommets and long reach allen keys contained in a quality UK made box with snap close lid. Excellent for flight boxes and workshop. Send mail to webmaster@modelfixings.com with questions or comments about this web site. All Trademarks and Trade names acknowledged.